Havnt tried it, is this any good? This image of a vehicle interior looks pretty nice. from the moddb page the maps have all chinese statics, but i guess they might throw those map out? just speculating. Assets look of really good quality. If they are their own, kudos to them, but I really think they should consider moving their work over to PR if they want to have some players. 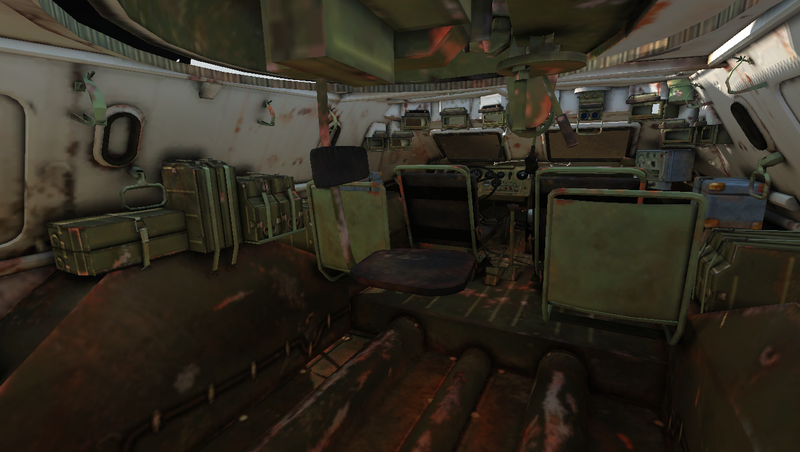 The BTR-60 interior looks cool but seeing as it has no smoothing groups I'm guessing its from another game. What do smothing "groups" do? In maya i can turn on a previewed smoothing thing that calculates arcs along the edges relative to it's neighboring verts and edges angles, and you can choose to render with that or just use it as a guide and then swtich back to regular poly mode and continue making a mess, but does it do something different in games? like...is a smoothing group an LOD? You can see on all the rounded bits like the bars around the seats, handles etc, that they are boxy where each side of the cylinder is, rather than a smooth transition between each side of the cylinder. If a team has modellers that are capable of putting out such models, it's PR team. If it's only a guy that has the will to do it, he wouldn't do it for any other mod than PR.